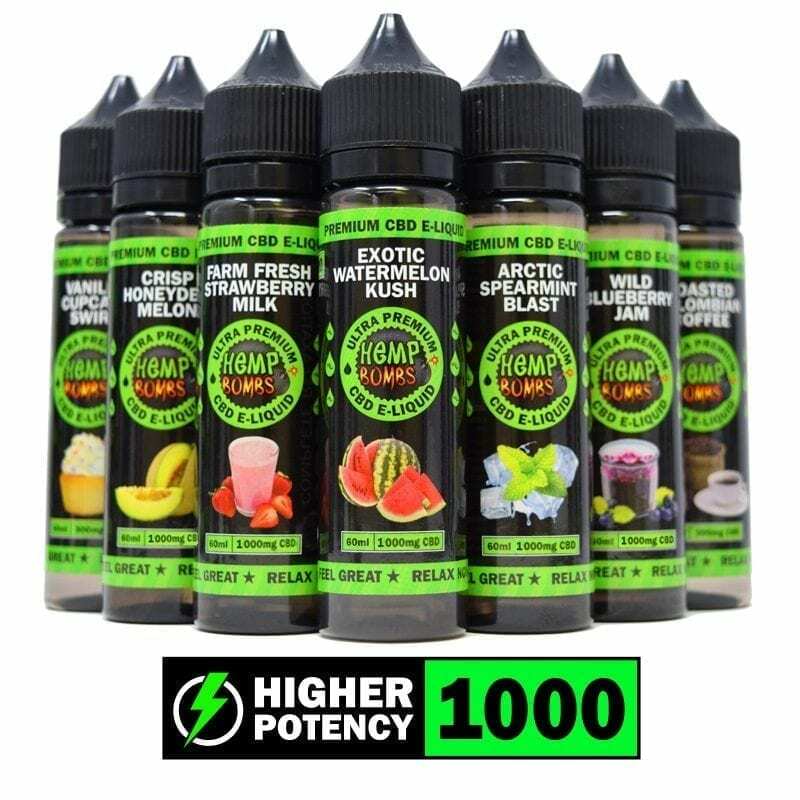 Hemp Bombs offers CBD Vape Juice in 13 different flavors, so there’s something for everyone to enjoy. Our 60ml bottle of CBD E-Liquid comes equipped with 300mg, 1000mg or 2000mg of pure CBD for long-lasting relief and strong effects. 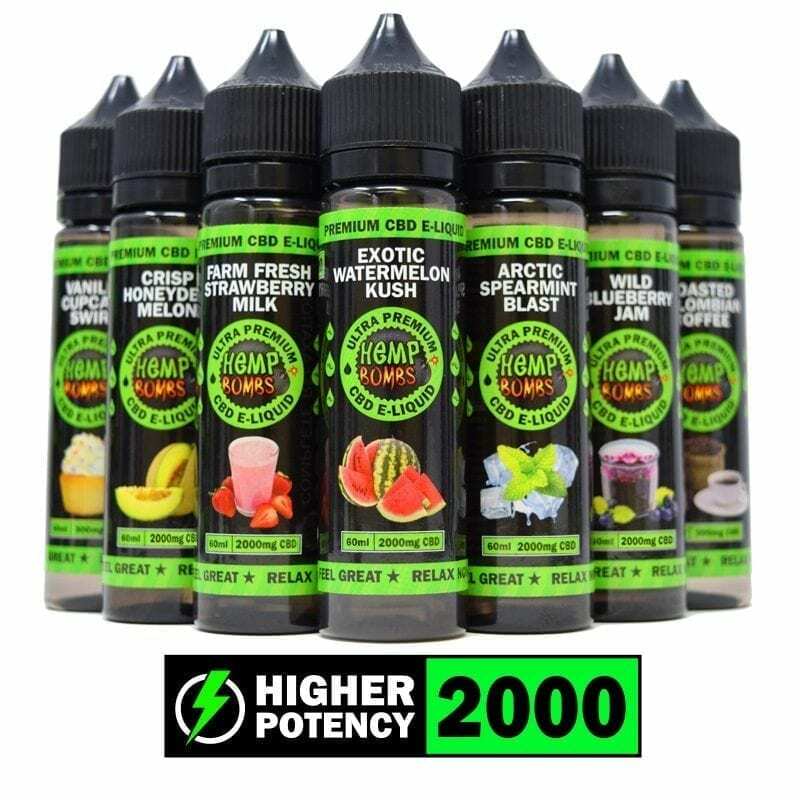 The 70/30 VG/PG split provides smooth inhalation and maximum cloud production to make vaping a fun and relaxing experience.